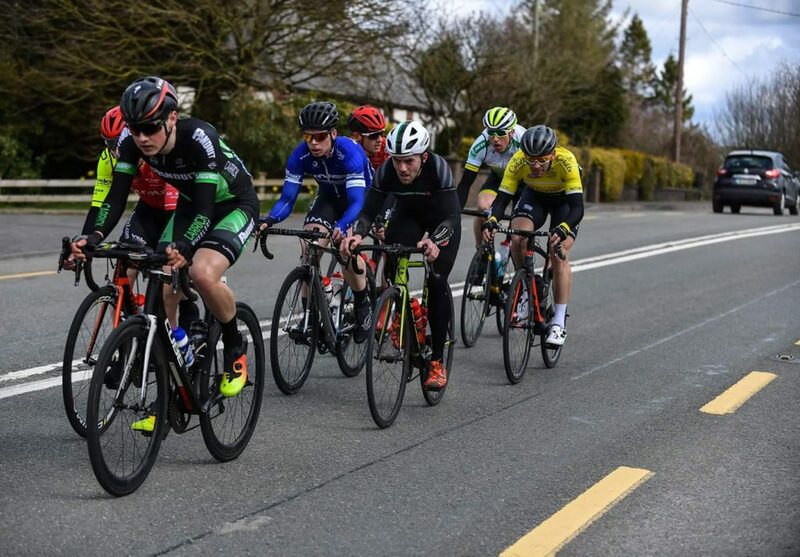 Another busy weekend for our riders this weekend saw Jamie Blanchfield take a fine 2nd place at the Des Hanlon Memorial held in Carlow, building on his fine run of form in the early stages of this year’s season. On the youth side of things, Tom Kinsella romped home to an impressive victory in the U12 event of the same race. Over in West Cork Marc Flavin, just returning from injury, secured 2nd at the annual West Cork Duathlon national series event. 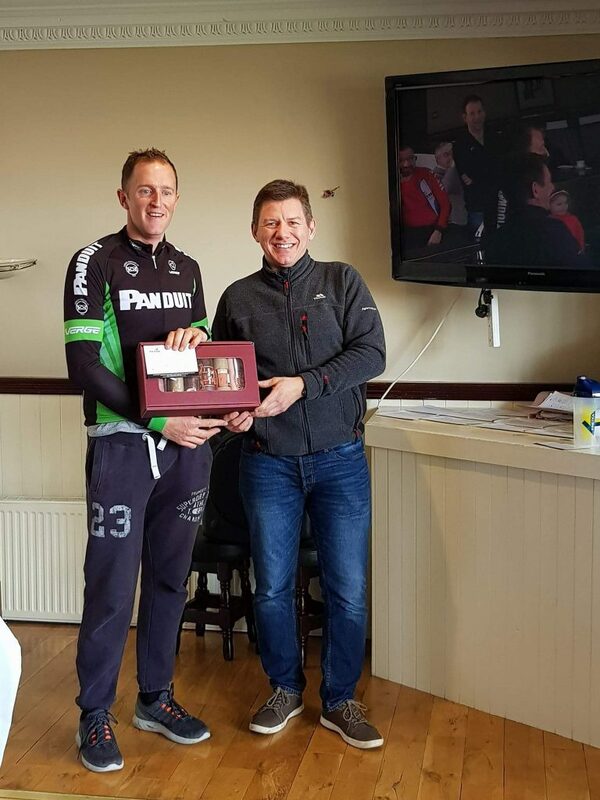 In the main offering of the day in Carlow – the A+/A1/2 Des Hanlon Memorial, over 120 riders kitted out for the 150-kilometre event, taking in a tough rolling circuit including a handful of short sharp climbs which ground down the riders as the hours ticked on. Panduit Carrick Wheelers had a full compliment of riders turning out and riding an aggressive race from the outset. Just 10 kilometres in, a breakaway of roughly 15 riders managed to forge clear on the rolling road to Castlecomer, with Blanchfield managing to infiltrate this early move. The break would go on to pull out a maximum gap of just under three minutes, but with riders dropping off rapidly as the attacks started flying on the second last lap, there was just five left at the head of the race. This would turn out to be the winning selection but with the gap to the bunch narrowing as the final kilometres ticked by, the scene was set for a nail biting finale. In the end, it was a five up drag race to the line with Sean McKenna of Team Holdsworth Pro Cycling taking the honours followed closely by Blanchfield in 2nd with Sean Lacey, the victor of last week’s Bobby Power Memorial, rounding out the podium. Earlier that morning in the youth races, both Tom Kinsella and Patrick O’Loughlin were up for action in the under 12 and under 14 events respectively. 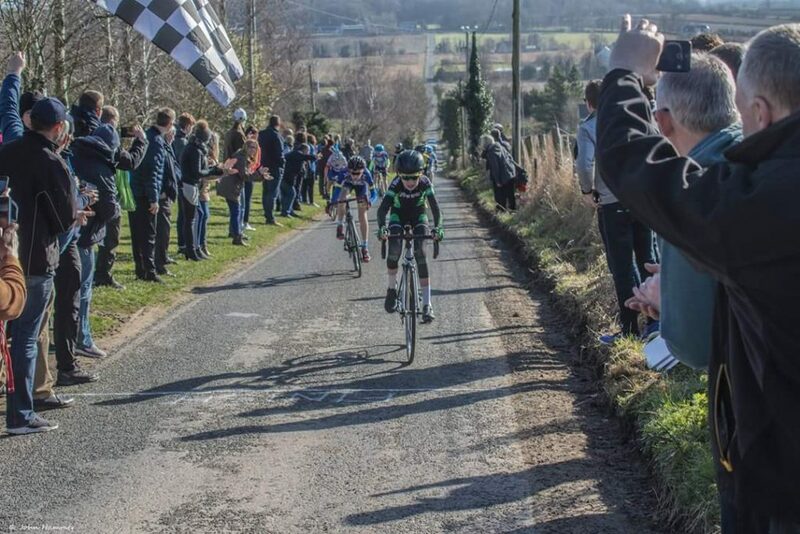 The tough circuit with an uphill finish proved no match for young Tom Kinsella who took home the win in the under 12 event, Patrick rode a strong race having just retuned from a spell of racing in England but unfortunately suffered mechanical problems towards the end of the race putting a halt to his chances. Elsewhere, in the West Cork Duathlon Marc Flavin continued his steady build into this season with 2nd place. The race itself started with a 3-kilometre run which he came out of in 2nd place roughly 45 seconds down on the first placed competitor. Marc, in his favoured discipline, caught and passed 1st place on the hilly technical cycling leg of the course. Coming into the last leg which was another 3-kilometre run Marc had a small gap but, by his own admission, not sizeable enough to retain his 1st place, meaning he was caught during the last leg and ended the day in 2nd place while also coming 1st in his age group.